General Electric isn’t sure demand for Boeing’s planned mid-range aircraft, nicknamed the 797, would justify developing a new engine. Also, Airbus announces orders from Asian airlines, and Ethiopian Airlines suspends plan to buy smaller regional jets. General Electric said it remains to be convinced that demand for Boeing’s planned mid-range aircraft, nicknamed the 797, will be sufficient for it to justify developing a new engine for the jet. Boeing is working on the 797, a so-called New Mid-market Aircraft or NMA, as it seeks a successor to its 757 and 767 models and a means of halting the success of Airbus SE in edging into the niche with its popular A321neo. The U.S. planemaker is mulling a two-jet family with 220 to 270 seats designed for 5,000-mile routes, available by 2025. Boeing CEO Dennis Muilenburg said in an interview at the expo that with a decision yet to be taken on launching the NMA, a judgment on the number of engine suppliers probably won’t be taken until next year. He said his company is evaluating all options for the turbines and having productive discussions. Boston-based GE would bid for the engine contract through CFM International, its joint venture with Safran SA of France, even if the NMA engine is required to exceed the 50,000 pounds of thrust that represents the upper end of the alliance’s agreed remit. “Even if it sneaks a little bit north of 50,000 thrust, we would still consider it to be in the spirit of the JV,” he said. “We are very respectful of the spirit of the JV and not the letter.” It’s also yet to be determined how many variants of the NMA there’ll be and what range of propulsion will be required, he said. Boeing’s Air Show got off to a big start on the freighter side: DHL Express announced an order for 14 777 Freighters, plus options and purchase rights for 7 more. Also, Boeing finalized a Qatar Airways order for five 777 Freighters, first announced as a commitment in April. Those 19 orders are worth nearly $7.7 billion at list prices, or $3.5 billion at actual market prices as estimated by Avitas. DHL said that while in the past it’s chiefly been leasing aircraft, purchasing these planes will lower its costs. Airbus kicked off its sales campaign at this year’s biggest air show by announcing orders with a $9.2 billion list price from Asian carriers that are augmenting their fleets to meet surging demand for air travel in the region. Taiwanese startup StarLux Airlines said it is buying 12 A350-1000 aircraft and five of the smaller A350-900s in a deal valued at $6 billion at list prices that exclude customary discounts. Sichuan Airlines of China will purchase 10 of the widebody planes. The A350-900 carries a tag of $317.4 million apiece, valuing the mainland carrier’s order at $3.2 billion. Besides the above two contracts, the Toulouse, France-based planemaker is also working on a blockbuster agreement to sell $23 billion worth of aircraft to AirAsia Group Bhd. of Malaysia, the continent’s biggest budget carrier, people familiar with the matter said, asking not to be identified discussing private talks. Sichuan Airlines and StarLux are among carriers boosting jet orders from Asia as more people in the region take to the skies for leisure and business. Asia Pacific is likely to have 3.5 billion passengers by 2036, adding more than double the forecast for North America and Europe combined, according to estimates by the International Air Transport Association. Airbus has said reducing the backlog of more than 7,100 planes is among the biggest challenges as production fails to keep pace. Africa’s biggest airline had been looking at Bombardier’s C Series aircraft — since taken over by Airbus SE and renamed the A220 — together with Embraer’s E195. 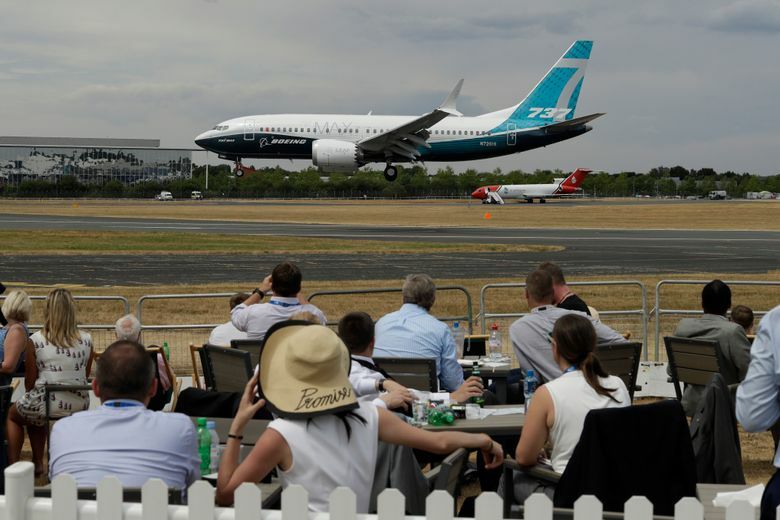 An order, which had been mooted as likely at this week’s Farnborough air show, is now off the agenda, Chief Executive Officer Tewolde GebreMariam said in an interview. “We have decided to suspend the evaluation of the 100-seater regional aircraft acquisition project, since the market size of the selected regional routes is growing faster than we expected,” he said. Boeing 737 jets from the current fleet will instead be used while the airline studies passenger trends. Tewolde also said there’s no prospect of an order for the Airbus A350-1000 wide-body or Boeing’s rival 777X at the Farnborough expo, with Ethiopian still evaluating the two planes for its latest long-haul requirements. A purchase of more of the U.S. company’s current-generation 777s or the 787 Dreamliner remains an alternative, he said.